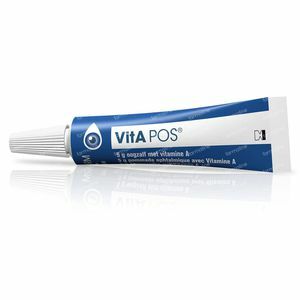 Vita-Pos Eye Ointment 5 g order online. The high viscosity of eye ointments means that the retention time on the ocular surface is significantly longer compared to eye drops. Therefore, eye ointments in particular should not contain harmful excipients such as preservatives or phosphates. 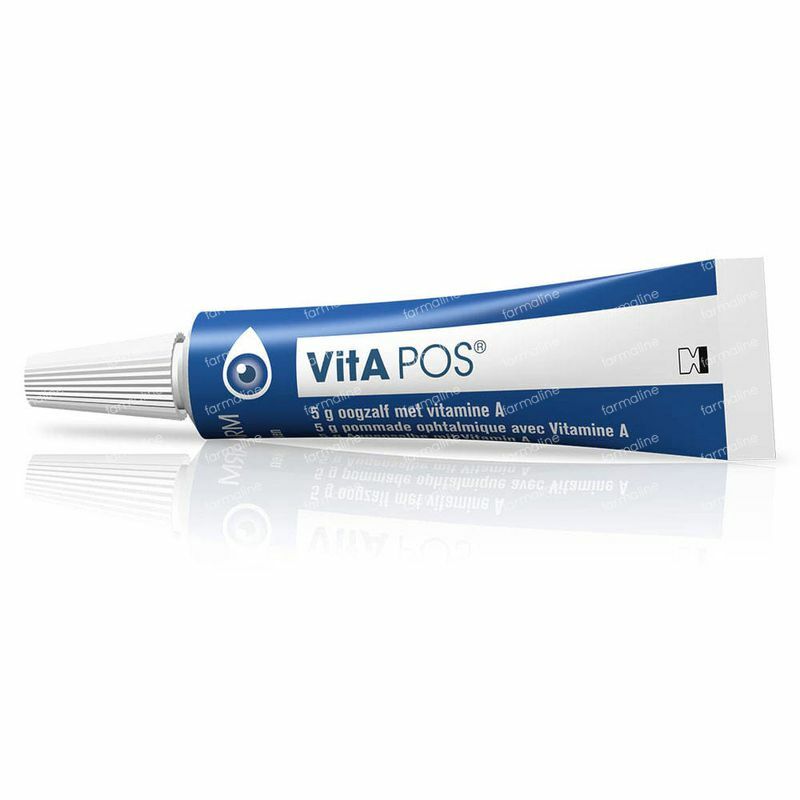 VitA-POS® eye ointment is preservative and phosphate free and therefore presents no risk of harmful effects on the cornea and conjunctiva. 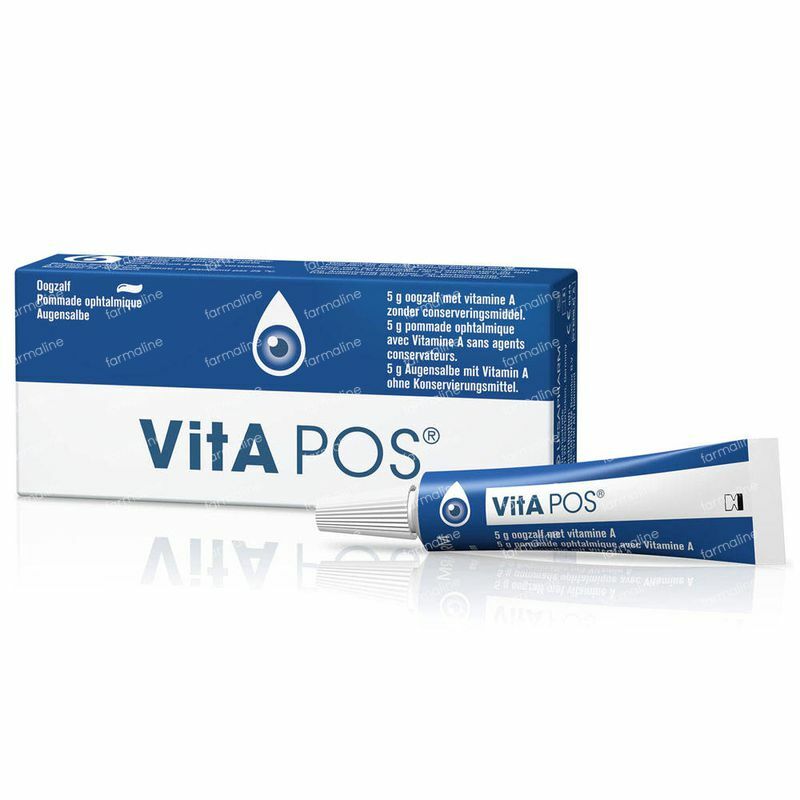 VitA-POS eye ointment is suitable for adults and children of all age groups and can also be used during pregnancy and breast-feeding. 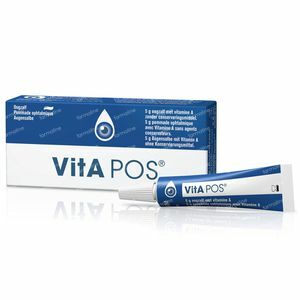 VitA-POS is ointment based and designed for night time use, and so should not be used while wearing contact lenses. Please ensure you take out your lenses before using VitA-POS and wait for at least 15 minutes after treatment before putting them back. Apply a small strand of VitA-POS along the lid into the conjunctival sac every day before going to bed. Do not allow the tip of the tube to touch the eye. 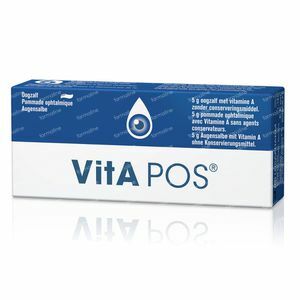 If there is known hypersensitivity to one of the components of VITA-POS® the product should not be used. VITA POS® can not be administered while wearing contact lenses. Great product for helping combat dry eye, bob a small amount in each eye at bedtime and it helps to keep your eyes lubricated overnight, not had any side effects but would not consider use during the day, would prefer drops as the gel does make vision blurry as it distributes over the eye. This is one of the best products that I have used. My eyes were extremely itchy, sore, dry and uncomfortable when they were open or closed. I used this at night before bed, it immediately gave relief. Fantastic product, will be reordering.